This is the prayer to the Ten Incarnation of Vishnu. 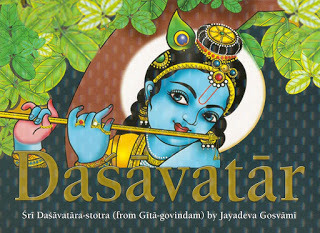 It was composed by Jayadeva, the mystic poet from Orissa. His work “Gita Govinda” starts with this prayer. The Stotra mentions even Buddha but not Krishna. 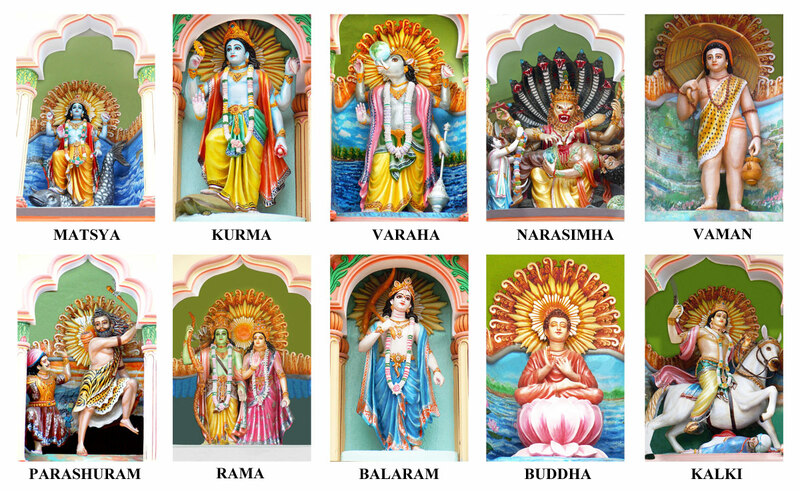 This could be because the poet wrote it as the ten incarnation of Krishna and not Vishnu. O Keçava! O Lord of the universe! O Lord Hari, who have assumed the form of a fish! All glories to You! 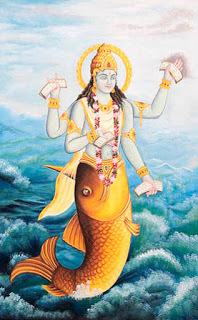 You easily acted as a boat in the form of a giant fish just to give protection to the Vedas, which had become immersed in the turbulent sea of devastation. O Keçava! O Lord of the universe! 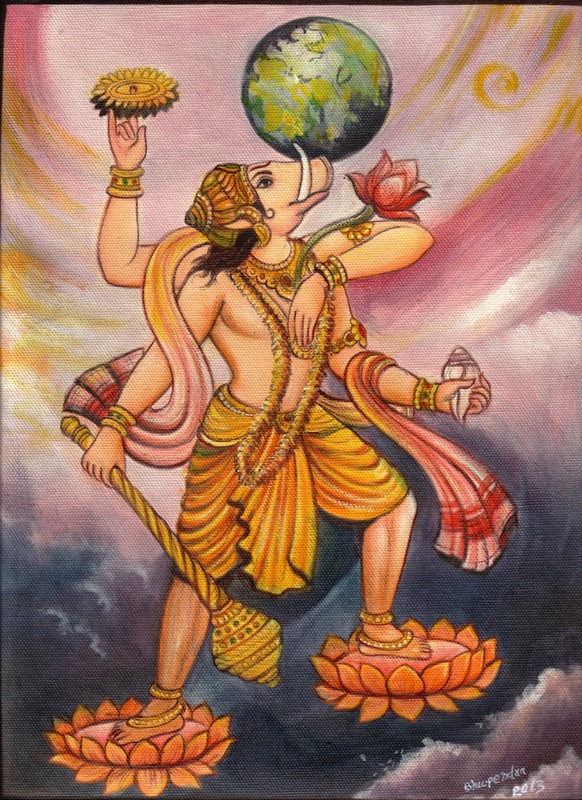 O Lord Hari, who have assumed the form of a tortoise! 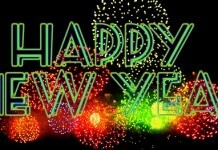 All glories to You! In this incarnation as a divine tortoise the great Mandara Mountain rests upon Your gigantic back as a pivot for churning the ocean of milk. From holding up the huge mountain a large scar like depression is put in Your back, which has become most glorious. O Keçava! O Lord of the universe! 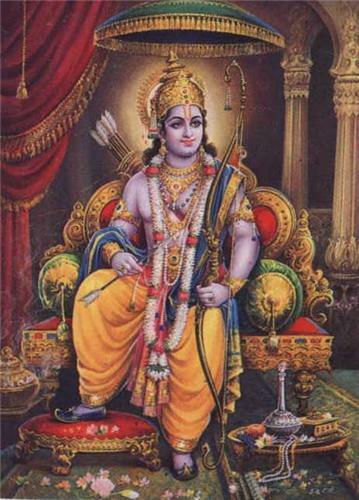 O Lord Hari, who have assumed the form of a boar! 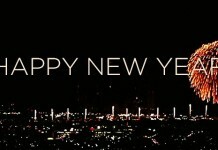 All glories to You! 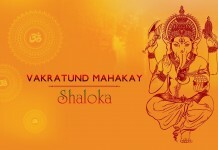 The earth, which had become immersed in the Garbhodaka Ocean at the bottom of the universe, sits fixed upon the tip of Your tusk like a spot upon the moon. O Keçava! O Lord of the universe! O Lord Hari, who have assumed the form of half-man, half-lion! All glories to You! 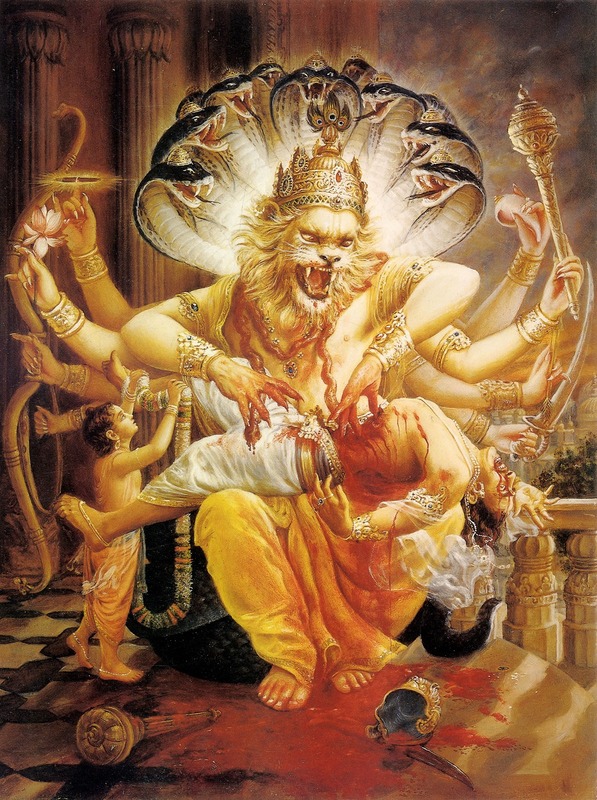 Just as one can easily crush a wasp between one’s fingernails, so in the same way the body of the wasp like demon Hiraëyakaçipu has been ripped apart by the wonderful pointed nails on Your beautiful lotus hands. O Keçava! O Lord of the universe! 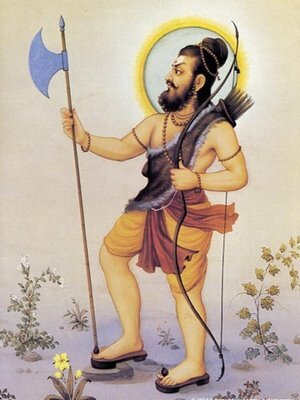 O Lord Hari, who have assumed the form of a dwarfbrähmaëa! All glories to You! O wonderful dwarf, by Your massive steps You deceive King Bali, and by the Ganges water that has emanated from the nails of your lotus feet, You deliver all living beings within this world. O Keçava! O Lord of the universe! 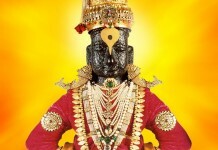 O Lord Hari, who have assumed the form of Bhågupati [Paraçuräma]! All glories to You! At Kurukñetra You bathe the earth in the rivers of blood from the bodies of the demoniac kñatriyas that You have slain. The sins of the world are washed away by You, and because of You people are relieved room the blazing fire of material existence. Rävaëa and distribute his heads as a delightful offering to the presiding deities of the ten directions, headed by Indira. This action was long desired by all of them, who were much harassed by this monster. O Keçava! O Lord of the universe! O Lord Hari, who have assumed the form of Balaräma, the yielder of the plow! All glories to You! 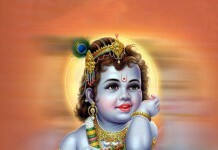 On Your brilliant white body You wear garments the color of a fresh blue rain cloud. These garments are colored like the beautiful dark hue of the River Yamunä, who feels great fear due to the striking of Your plowshare. O Keçava! O Lord of the universe! 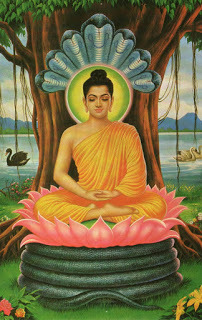 O Lord Hari, who have assumed the form of Buddha! 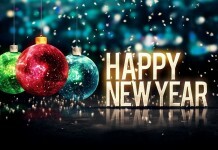 All glories to You! O Buddha of compassionate heart, you decry the slaughtering of poor animals performed according to the rules of Vedic sacrifice. O Keçava! O Lord of the universe! 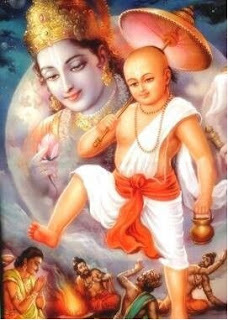 O Lord Hari, who have assumed the form of Kalki! All glories to You! You appear like a comet and carry a terrifying sword for bringing about the annihilation of the wicked barbarian men at the end of the Kali-yuga. O Kesava! 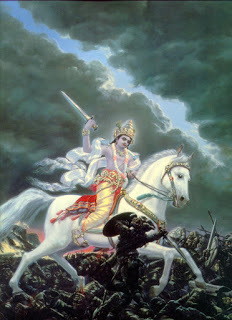 O Lord of the universe! 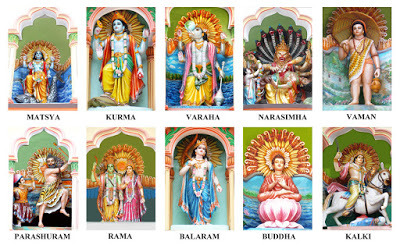 O Lord Hari, who have assumed these ten different forms of incarnation! All glories to You! 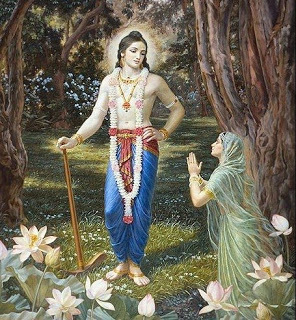 O readers, please hear this hymn of the poet Jayadeva, which is most excellent, an awarder of happiness, a bestower of auspiciousness, and it is the best thing in this dark world. 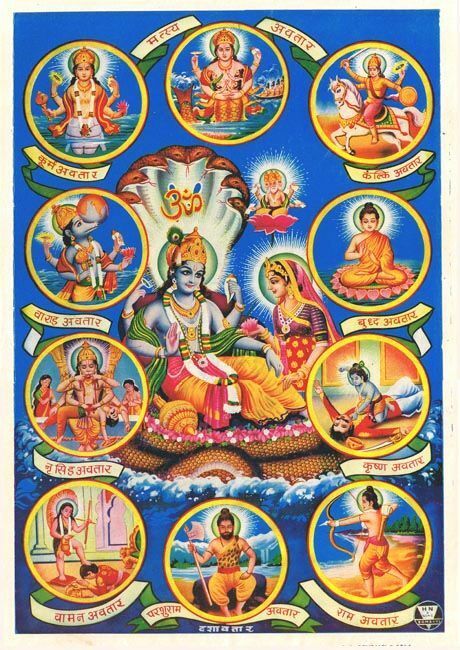 O Lord Kåñëa, I offer my obeisances unto You, who appear in the forms of these ten incarnations. 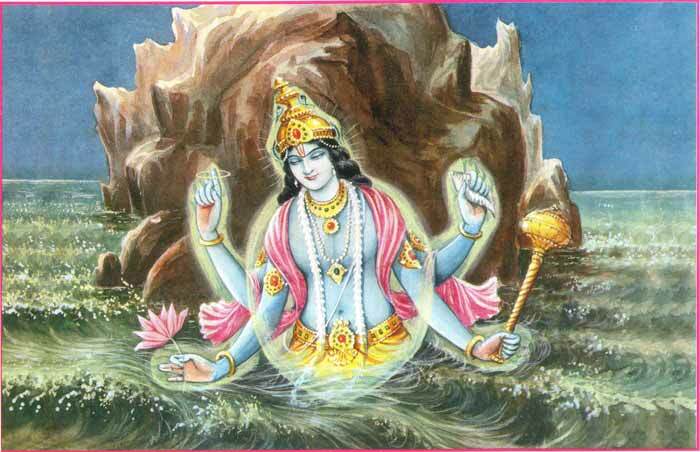 In the form of Matsya You rescue the Vedas, and as Kürma You bear the Mandara Mountain on Your back. As Varäha You lift the earth with Your tusk, and in the form of Narasiàha You tear open the chest of the daitya Hiraëyakaçipu. In the form of Vämana You trick the daitya king Bali by asking him for only three steps of land, and then You take away the whole universe from him by expanding Your steps. As Paraçuräma You slay all of the wicked kñatriyas, and as Rämacandra You conquer the raksasa king Rävaëa. In the form of Balaräma You carry a plow with which You subdue the wicked and draw toward You the River Yamunä. 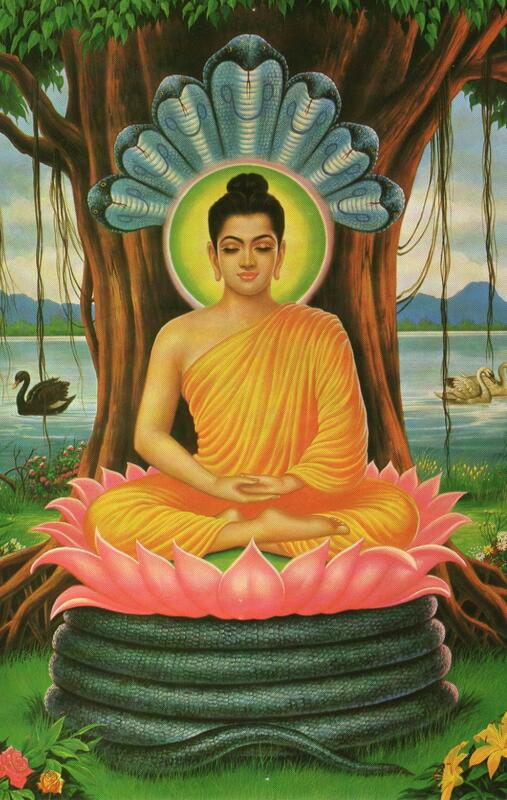 As Lord Buddha You show compassion toward all the living beings suffering in this world and at the end of the Kali-yuga You appear as Kalki to bewilder the mlecchas [degraded low-class men].